Add dolphins to the list of magnetosensitive animals, French researchers say. 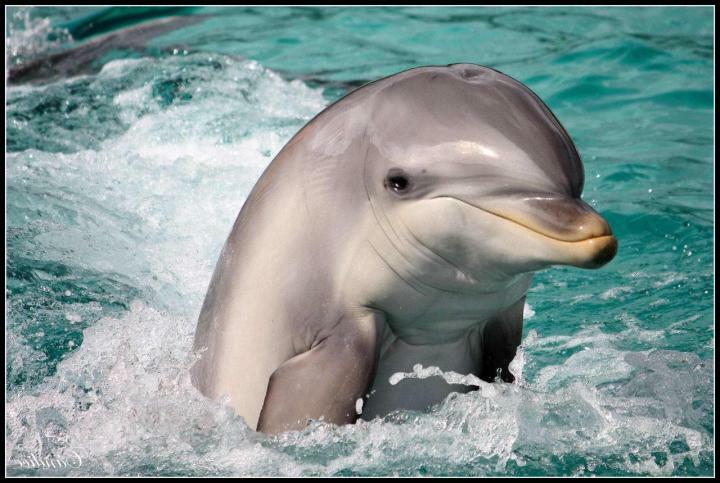 Dolphins are indeed sensitive to magnetic stimuli, as they behave differently when swimming near magnetized objects. So says Dorothee Kremers and her colleagues at Ethos unit of the Université de Rennes in France, in a study in Springer's journal Naturwissenschaften -- The Science of Nature. Their research, conducted in the delphinarium of Planète Sauvage in France, provides experimental behavioral proof that these marine animals are magnetoreceptive. Magnetoreception implies the ability to perceive a magnetic field. It is supposed to play an important role in how some land and aquatic species orientate and navigate themselves. Some observations of the migration routes of free-ranging cetaceans, such as whales, dolphins and porpoises, and their stranding sites suggested that they may also be sensitive to geomagnetic fields. Because experimental evidence in this regard has been lacking, Kremers and her colleagues set out to study the behavior of six bottlenose dolphins in the delphinarium of Planète Sauvage in Port-Saint-Père. This outdoor facility consists of four pools, covering 2,000 m² of water surface. They watched the animals' spontaneous reaction to a barrel containing a strongly magnetized block or a demagnetized one. Except from this characteristic, the blocks were identical in form and density. The barrels were therefore indistinguishable as far as echolocation was concerned, the method by which dolphins locate objects by bouncing sound waves off them. During the experimental sessions, the animals were free to swim in and out of the pool where the barrel was installed. All six dolphins were studied simultaneously, while all group members were free to interact at any time with the barrel during a given session. The person who was assigned the job to place the barrels in the pools did not know whether it was magnetized or not. This was also true for the person who analyzed the videos showing how the various dolphins reacted to the barrels. The analyses of Ethos team revealed that the dolphins approached the barrel much faster when it contained a strongly magnetized block than when it contained a similar not magnetized one. However, the dolphins did not interact with both types of barrels differently. They may therefore have been more intrigued than physically drawn to the barrel with the magnetized block. "Dolphins are able to discriminate between objects based on their magnetic properties, which is a prerequisite for magnetoreception-based navigation," says Kremers. "Our results provide new, experimentally obtained evidence that cetaceans have a magenetic sense, and should therefore be added to the list of magnetosensitive species."